This ministry is made up of women of all ages, separated into departments for specific work. This is the main ministry in the church that sacrifices and seeks to help the hurting of our community and world while sharing the gospel of Jesus Christ. The mission is clear “The World for Christ.” The Missionary Society participates in many service projects throughout the year locally as well as denominationally. Operating under the umbrella of the Connectional Church, this ministry is organized with supervision comprised of six departments that provide mission development of all age levels of the membership. 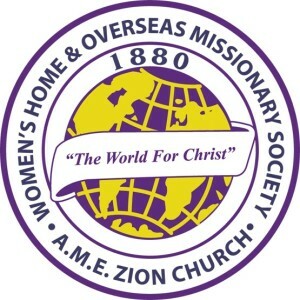 Serve as a financial support system to undergird the world mission outreach of The African Methodist Episcopal Zion Church, at home and overseas, to the end that, through the power of the Holy Spirit, Christ is exalted and God is glorified.